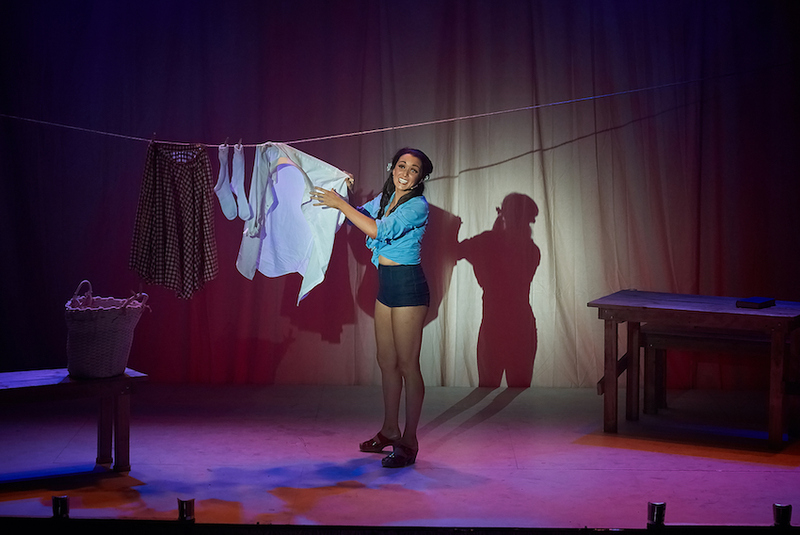 The Australian professional premiere of harrowing musical drama Parade is blessed with ingenious staging and compelling performances from its superb cast. 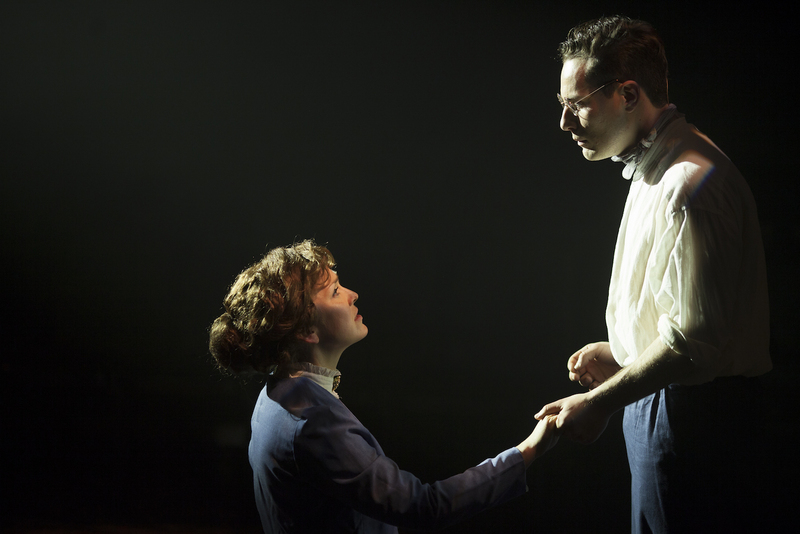 Revered for Jason Robert Brown’s Tony Award-winning score, Parade has been a favourite of music theatre enthusiasts since its all too brief Broadway season in 1999. 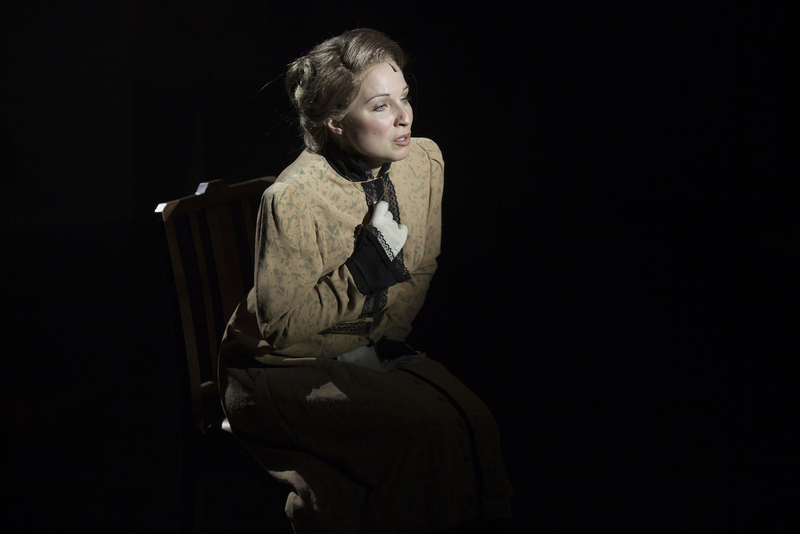 This production uses the streamlined cast and reduced orchestrations of the 2008 Donmar Warehouse version. Besides being a most welcome premiere from a brand new company, the production is set apart by its canny use of fortyfive downstairs to create an intimate staging that is all the more riveting for its immersive design. 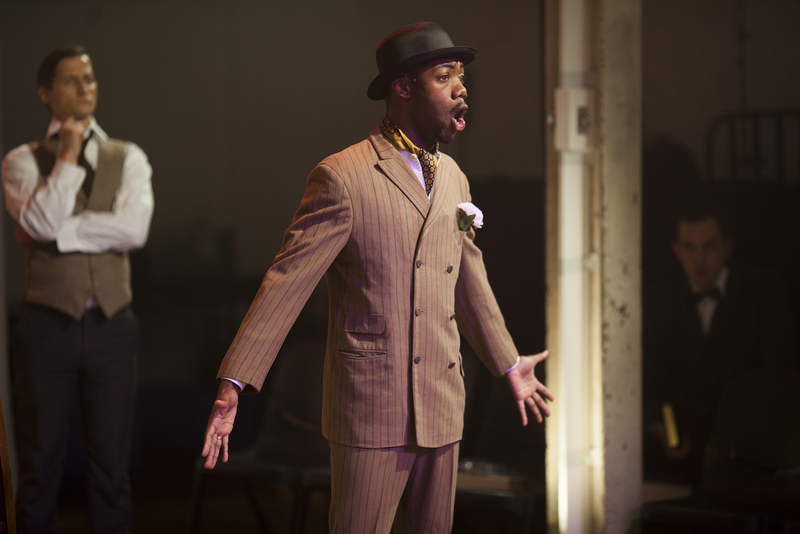 A true “concept” musical, on par with Cabaret and Company, Parade is an unflinching examination of the variable forces that govern human nature. Alfred Uhry’s book presents society’s role in Leo Frank’s brutally unjust downfall as unthinkable and yet inevitable. A clever contrast in the two acts shows how bad news spreads like wildfire whereas truth and justice are a much slower burn. Brown deliberately contrasts patriotic American music with a modern, occasionally dissonant, music theatre sound, at times seguing back and forth between the two as if an unseen musical DJ is controlling a pair of decks. Leo’s opening “I Wish” song “How Can I Call This Home?” takes place amidst a parade watched by a ardent crowd, whose jubilance will be replicated when he is later found guilty of murder. The musicalisation of the trial, played out over nine interwoven parts, is music theatre writing at its finest. Performed between two opposite facing seating banks, the action may occasionally play like a tennis match, but Jason Bovaird’s intricate lighting draws the eye with reliable precision. The hero piece in Alexandra Hiller’s simple but effective set design is a large oak tree, which is not only highly evocative of the Deep South setting but also portentous of the tragic climax. The venue itself serves as a backdrop that is more atmospherically perfect than any money could buy. 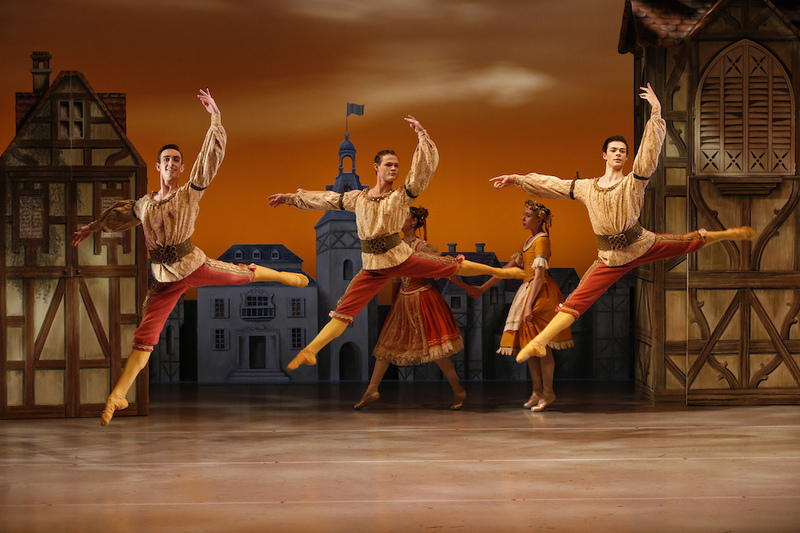 Nerissa Saville’s costumes, mindboggling in number, are faithful to the period and blend together effectively. Given the number of shared roles, and despite the talents of the cast, some characters could have used a more distinctive point of difference in their “look” to tell them apart. In the lightning-fast onstage changes between contradictory characters of reporter Britt Craig and Leo’s lawyer Luther Rosser, Cameron MacDonald would have benefited from a trick like Liz/Beth’s glasses on/ glasses off in If/Then. Director James Cutler has drawn sensitive, nuanced performances from his small cast of only 14 players. At all times there is a sense of the whole being greater than the sum of the parts, as the ensemble cast work together with clearly shared vision and focus. Unstinting in dramatic intensity, scenes such as young Mary’s funeral are painfully difficult to watch and yet one cannot look away. 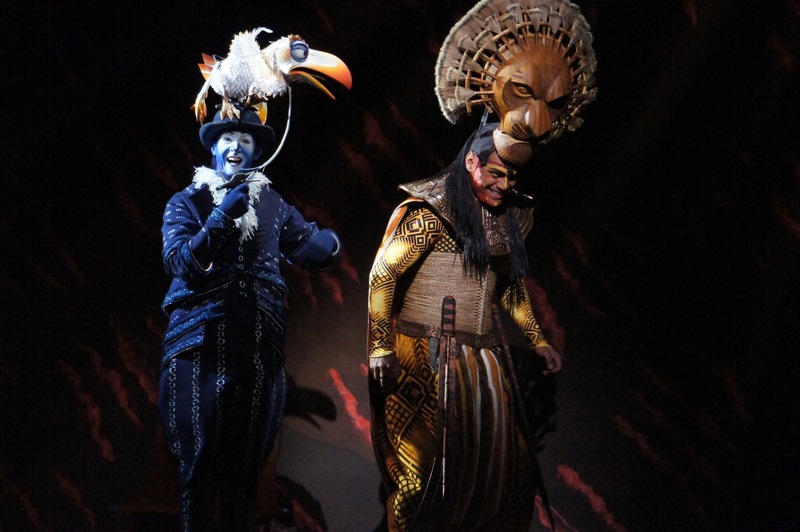 A strength of the sandwiched seating is that performers can form naturalistic connections by facing one another when communicating, eschewing the stagy, front-facing style of traditional proscenium arch music theatre. Working seamlessly with Cutler, choreographer David Harford has deftly complemented the staging with choreography the sole purpose of which is to support the storytelling. Act two ballroom sequence “Pretty Music” is expertly realised. Music director Cameron Thomas not only conducts the band in a pristine performance of the score but also somehow keeps the deceptively challenging music in tempo despite being unseen by the cast for the majority of the time. 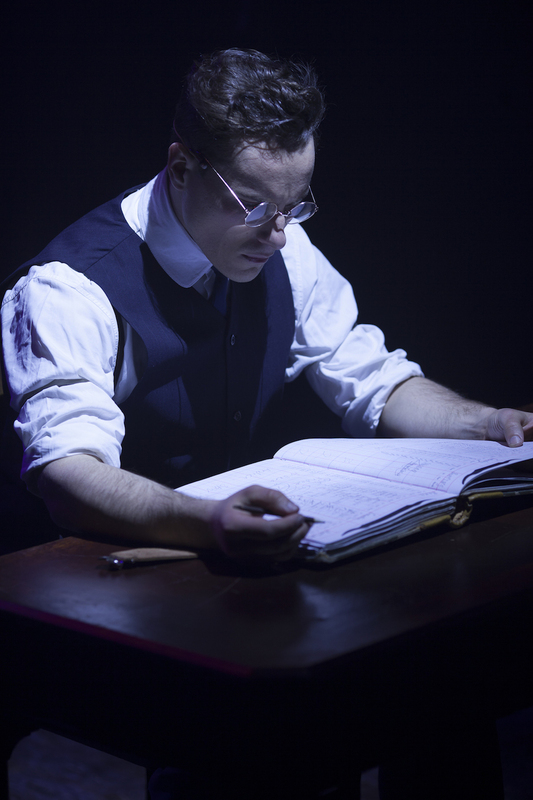 In a towering achievement, Luigi Lucente portrays Leo Frank with every fibre of his being. Taking us on the journey of a repressed, fastidious man’s discovery of love and optimism in the worst of circumstances, Lucente’s achievement is both uplifting and profoundly heartbreaking. 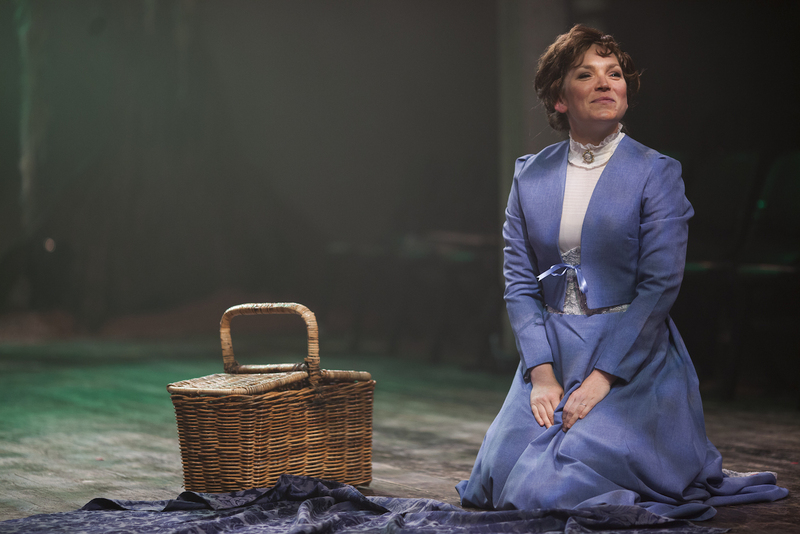 The gift of the venue is that Lucente can give an introverted, delicate performance that probably would not pass the footlights of the Regent Theatre and yet touches every heart at fortyfive downstairs. 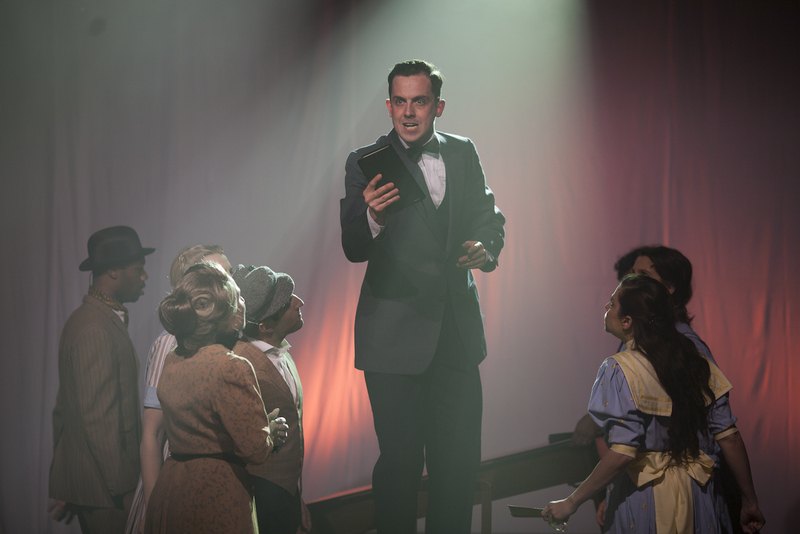 Lucente really reveals the depth of his triple threat talents in the extraordinary courtroom number “Come Up To My Office,” a fantasy scene in which Lucente channels the big bad wolf, by way of Bob Fosse, as we see the ludicrously villainous Leo Frank that the prosecutor is trying to convey. Cameron MacDonald is mightily impressive in a number of key roles, demonstrating his commanding, unshowy stage presence and singing with stirring power. Timothy Springs uses a sly smile to add to the intrigue of likely murderer Jim Conley. Tod Strike challenges our allegiances as the smooth but unconscionable prosecutor Hugh Dorsey. Amelia Christo neatly contrasts Mary’s downtrodden grieving mother with society wife Sally Slaton. Cle Morgan conveys housekeeper’s Minnie’s easy gullibility as a manipulated witness. The full cast all have their moment to shine and are inextricably linked to the quality of the piece. The further cast members are Paul Dawber, Andrew Doyle, Emma Jones, Bonnie Page, Jemma Plunkett, David Price and Michelle Smitheram. By rights there should be queues of desperate ticket buyers lined up along Flinders Lane praying for returns. Music theatre fans cannot miss Parade. 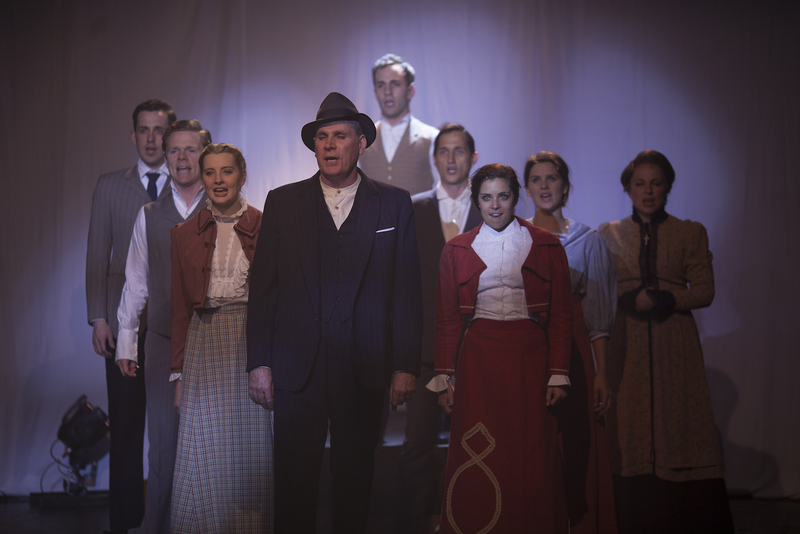 Parade plays at fortyfive downstairs, Melbourne, until 28 September 2014. The Parade program can be read online. Now that we’ve seen her as a brunette, please allow Laura Fitzpatrick to complete her JRB trilogy as Francesca in The Bridges of Madison County. Could there be a more perfect follow up show for The Collective than Violet, with Luigi Lucente as Monty and Timothy Springs as Flick. As for Violet herself, I’ll have to get back to you on that one. Any suggestions?